Have you ever wanted to drive into a fuel station and fill up your vehicle for FREE? 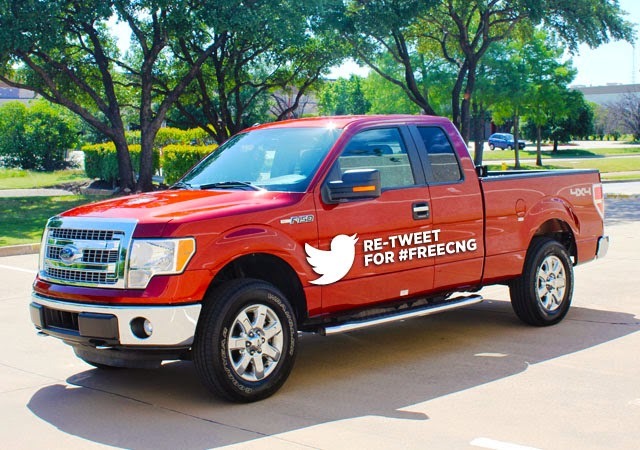 Westport and Clean Energy Fuels are offering you that chance on May 7 and May 8, 2014 with Retweet for #FREECNG! Enter for your chance to win a Clean Energy Fuel Card loaded with 1,000 gasoline gallon equivalents of compressed natural gas (CNG) fuel! A draw will be made on May 16th by Westport for the two free fuel cards after all entries are collected. The winners will be randomly selected and all entries are subject to the official contest rules and regulations.